As deer hunters, we all know the importance of thorough preparation. If you're serious about bringing home the trophy of a lifetime, you wouldn't even think about hitting the treestand without first setting up a few trail cameras, fine tuning your bow or gun, picking out the right kind of apparel or spraying down with more scent product than a New York City department store. We know it's about more than just showing up – it's about quality presentation. In the same way, date night has a lot to do with presentation. When it comes to wooing your spouse or a prospective candidate, you better bring your "A" game – or you may be sleeping on a couch in your mom's basement longer than expected. Guys, this isn't the time to pull out your frequent meal punch pass for the local fast food taco joint. The last thing you want to say to a beautiful woman on an important date is, "Hey girl, I hope you're enjoying that triple layer taco with refried beans and sub-standard ground meat. I think we've got a future." It's true that a great meal can cover a multitude of stupid jokes and awkward silences, but a bad meal can shipwreck the whole deal. So deer hunters, if you're good at what you do, you automatically have something in your favor and in your freezer – an abundance of succulent deer meat, calling your industriously charming name. While other guys have frozen TV dinners and Red Lobster, you've got a hand-crafted gourmet meal waiting to happen and a girl ready to be swept off her feet. Cooking an amazing meal, after all, is like playing the guitar – it makes all the girls go crazy. Not sure where to start? Don't worry, we've got you covered, with six great venison recipes for date night. 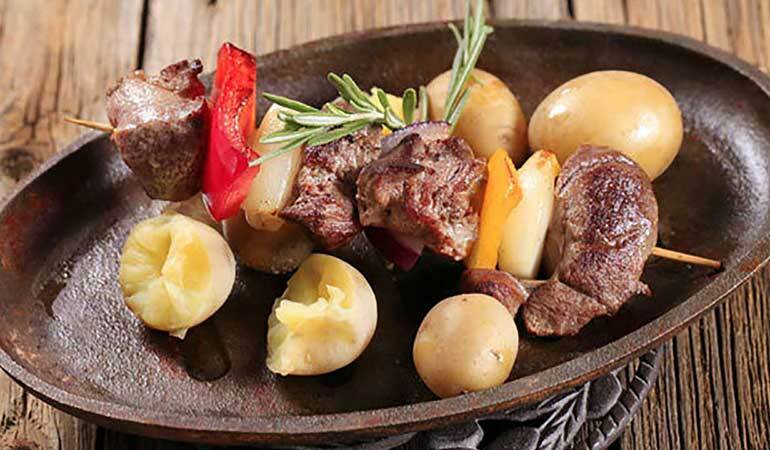 From mouth-watering venison steaks to juicy, gourmet burgers, we've got the perfect easy venison recipes to turn your next date night into a memorable one. 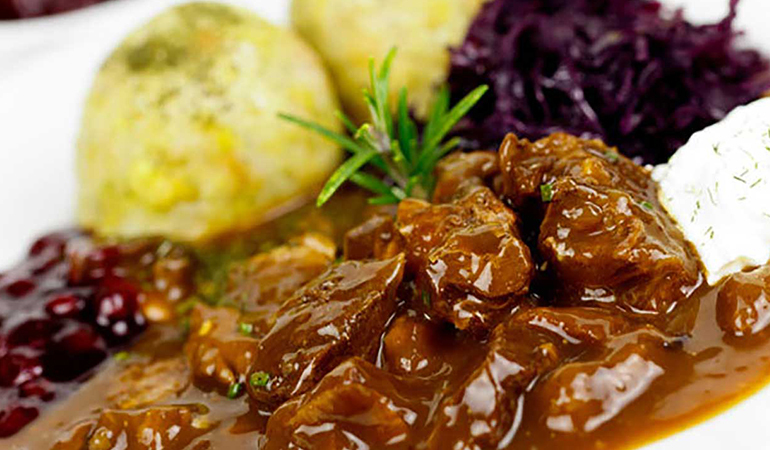 Traditionally a Hungarian dish, goulash is a hearty classic. 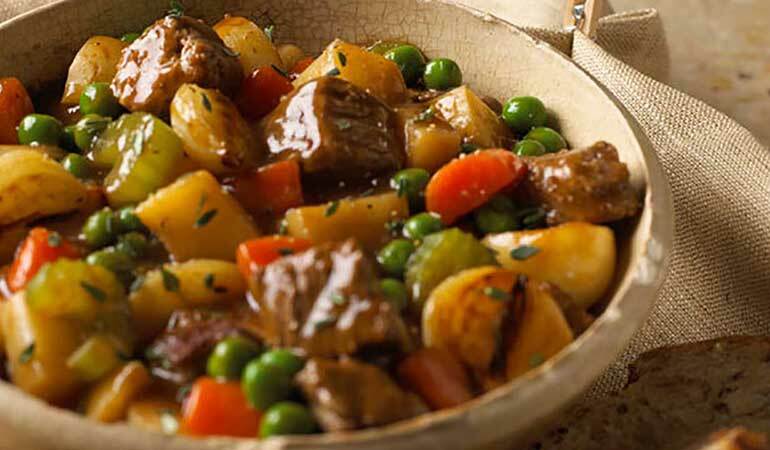 This tasty venison stew is the ultimate winter recipe that will trump any stew recipe you've ever made before. 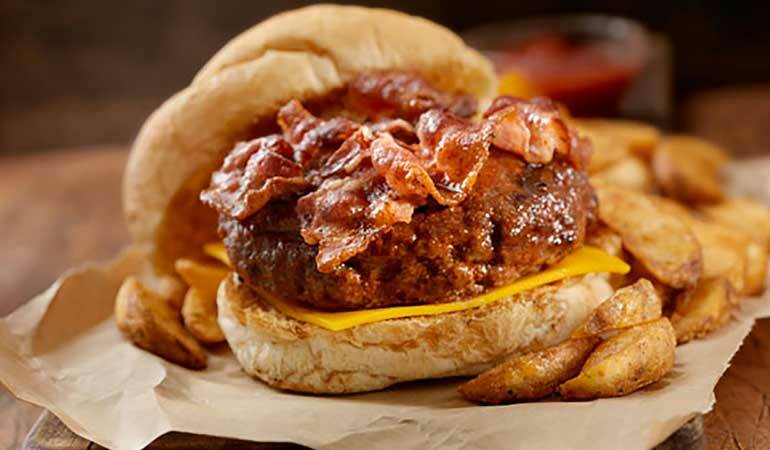 This bacon cheeseburger made with ground venison is an American classic. 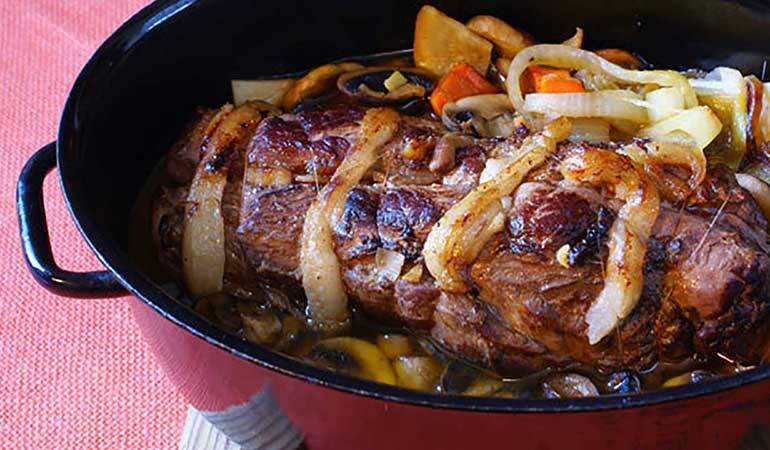 For the ultimate comfort food, give this delicious venison roast recipe a try. 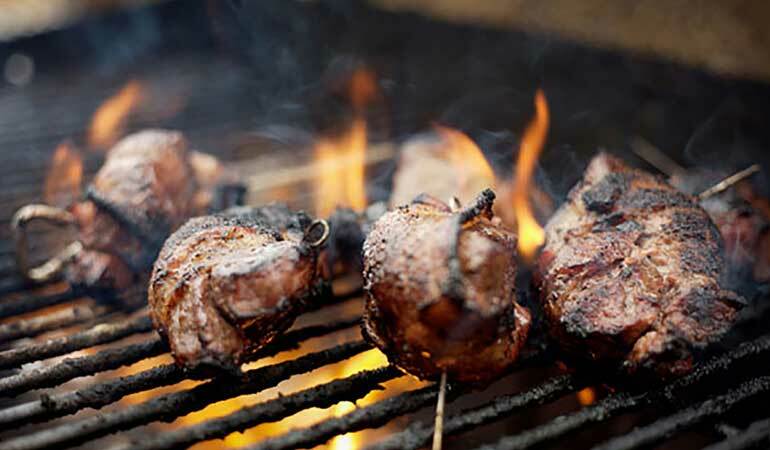 This delicious, easy-to-grill venison kabob recipe will make your mouth water just at the thought of it. Take the best part of a deer and the best part of a pig and what do you get? Grilled venison backstrap, twice-marinated and wrapped in bacon.